On March 26, 2014, the LA Times article, “Paul Walker’s Porsche had outdated tires at time of fatal crash,” claims that two of the tires on the Porsche that Paul Walker was riding in when it crashed and burned were more than nine years old. This was twice the recommended age of tires for the high-performance car. The California Highway Patrol investigators claimed “the drivability and handling characteristics” of the car may have been compromised.” Although the investigators still determined speed was the cause of this fatal crash killing the “Fast and Furious” actor Paul Walker and his friend Roger Rodas, a veteran race car driver, did the old and dangerous tires contribute to the accident? Most Fairfax Station, VA motorists rely on the tread depth of a tire before purchasing replacement tires, but the tire rubber compound deteriorates with time as well, regardless of the tread condition. Old tires are dangerous and pose a safety hazard. Wiygul Automotive Clinic, located in Burke, VA can inspect your tires and make suggestions on when you need replacement tires for your personal vehicle. What Occurs to a Tire as it Ages? A tire is like a rubber band. If it sits around for an extended period and you stretch it, you will see cracks in the rubber. These cracks may appear on the surface or inside the tire. The National Highway Traffic Safety Administration (NHTSA) does not have a specific guideline on tire aging and leaves it to the recommendations of the car manufacturers and tire manufacturers. Car manufacturers, Nissan and Mercedes-Benz, recommend replacement tires for any tires with a production date past six years, regardless of the tread. Tire manufacturers such as Continental and Michelin claim a tire can last up to ten years but that you should have an annual tire inspection after the fifth year. The Rubber Manufacturer Association claims there is no way to put an expiration date on a tire because factors such as heat, storage and conditions of tire use can significantly reduce the lifespan of a tire. Heat—NHTSA research found that tires age faster in warmer climates and environmental conditions such as exposure to sunlight and coastal climates. Storage—Spare tires that are mounted under your truck is exposed to dirt and elements, and if you have a car and the spare is kept in the trunk, it is still mounted and inflated and is considered “in service,” and the tire is baking in the heat in your trunk. A tire that has not been mounted and sitting in your garage or a tire shop will age more slowly than one that has been put into service, but nonetheless, it still ages. Conditions of Use—Keeping your tires properly inflated and avoiding hitting curbs can extend the life of your tires. For most people who drive anywhere between 12,000 to 15,000 miles a year near Fairfax Station, VA, the tread will wear out in about three to four years, and you will need replacement tires. If you drive only 6,000 miles a year, the rubber compound will wear out long before the tread of the tire. 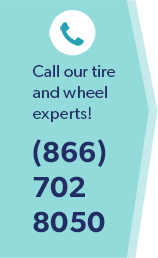 Wiygul Automotive Clinic, located near Fairfax Station, VA, has an onsite tire center with tire specialists who can help you with all your replacement tire selections. We have a wide variety of replacement tires at a reasonable price for your personal vehicle’s needs.